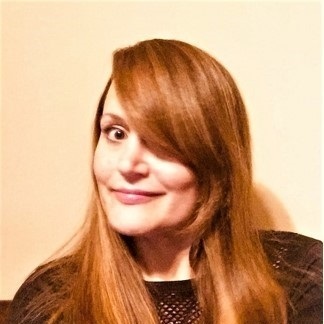 Doyenne of Data Science Laura Edell visits the pod with new-word-crafter / AI-expert Anthony Franklin to talk about how to use Azure AI to “game” March Madness. Can you say Bwwaaahhh ha ha HA HA? Laura Edell is a Doyenne of Data Science by day who’s recent multi-year success at fantasy football play/bench models have spurred her on to attack other sports leagues like March Madness bracket predictions, PGA Player Fedex Points predictions and more. Laura is an avid lover of all things analytical and will respond to the moniker “Annielytics” in lieu of her name anytime. When it’s time to turn her brain off, she loves to travel off-the-beaten-track, especially to known “wind” rich destinations to appease her inner kite-boarding child. When not traveling, Laura enjoys being with her family, gaming together & teaching her 8 year old how to spin EDM tracks into mashup magic. Anthony Franklin is an accomplished analytics expert, consultant and trainer who has trained hundreds of students and professionals for various statistical and analytics concepts. 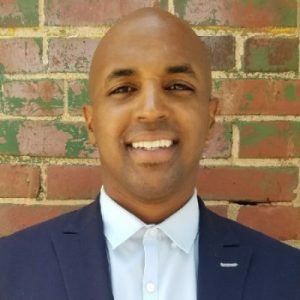 He worked as a student instructor for the Institute of Advanced Analytics at North Carolina State University teaching R programming, SAS programming and advanced modeling techniques, while he finished his doctoral studies. He spent 5 years as an employee at SAS Institute, training and enabling enterprise companies on major data intensive solutions. He serves as a board member and partnered with Matrix TRC for over 5 years leading multiple big data, machine learning, and programming courses. Anthony currently works at Microsoft as a Big Data and AI Architect. He is a cofounder of Fanalytical Inc., a data and analytics platform aimed at college athletic departments in the USA. Anthony is an experienced public speaker and a former Division 1 college football player. Most notably, Anthony coined his own genuine word on our show: incomprehensive.